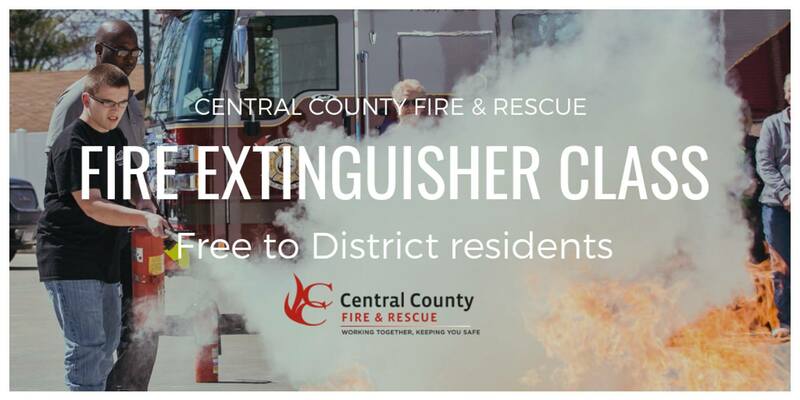 Learn how to properly use a fire extinguisher in this hands-on class taught by Central County Fire & Rescue (CCFR) firefighter/EMTs and paramedics. Attendees will learn how to safely and effectively use a fire extinguisher, then practice those skills on a live fire during the class. Space is limited to the first 25 district residents.